Audio specialist Onkyo is trying to return to its roots and announces the release of a new range of elite, flagship hi-fi components for the audiophiles, the P-3000R pre-amplifier, M-5000R power amplifier, and C-7000R CD player. 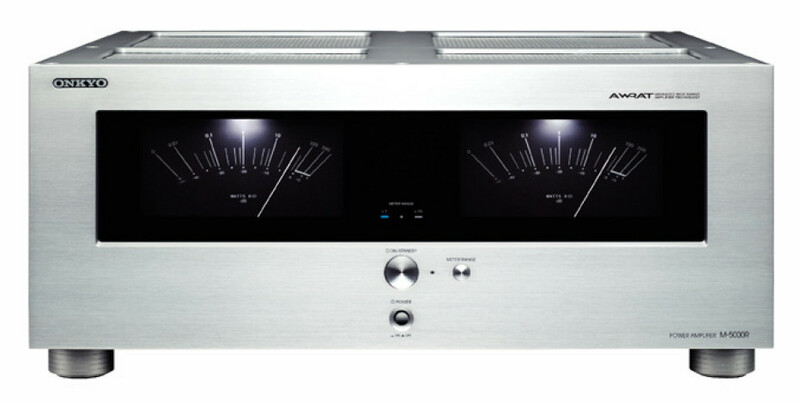 The M-5000R Power Amplifier features Onkyo’s AWRAT (Advanced Wide Range Amplifier Technology) amplification design, that comprises company’s newly developed DIDRC technology, designed to counteract unwanted high-frequency interference and a low NFB design, closed ground-loop circuits, and high instantaneous-current capability. The amplifier is equipped with three-stage inverted Darlington circuitry that provides “extremely efficient” power output and is equipped with twin toroidal transformers and four 27,000 μF capacitors, which work to stabilize the power supply and current, while a high-grade XLR input opens up the possibility of doubling power output via a BTL (bridged transless) set-up. The P-3000R is a streamlined two-channel pre-amplifier, that can handle both analog and digital sources and includes AES/EBU digital connectors and a USB input for PC audio.It has a vibration-resistant chassis design, packs 32-bit Burr-Brown DAC for each stereo channel and optimized audio performance, employs noise-reducing DIDRC technology to minimize interference and maintain signal quality and has ndependent amplifier circuitry.